Bottom Line: A graceful and pure Rhone varietal blend from Arizona with elegant integration of minerality and fruit; extra kudos are due to superb taming of Petite Sirah's oft-fiesty tannins. 85 • Pillsbury Wine Company 2017 Chardonnay, Cochise County, Arizona 13.9% (USA) $32.00. 87 • Pillsbury Wine Company 2017 Bonnie Lee, Malvasia, Cochise County, Arizona 13.5% (USA) $32.00. 86 • Pillsbury Wine Company 2017 Wildchild White Blend, Cochise County, Arizona 12.8% (USA) $24.00. 92 • Pillsbury Wine Company 2016 Roan Red Blend, Cochise County, Arizona 13.7% (USA) $30.00. 95 • Pillsbury Wine Company 2016 Diva Rhone Red Blend, Cochise County, Arizona 13.5% (USA) $40.00. 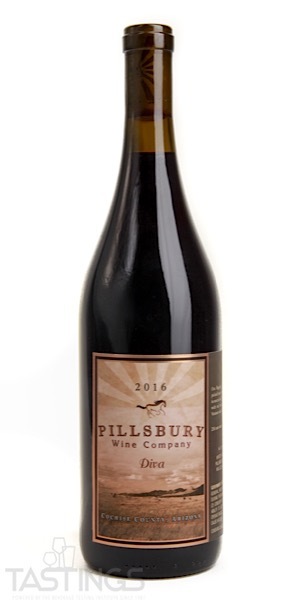 92 • Pillsbury Wine Company 2016 Special Reserve, Petite Sirah, Cochise County, Arizona 13.2% (USA) $55.00. A Rhone varietal blend can be made up from any number of varieties found in France's Rhone Valley. This can be either white or red (some red Rhone blends even contain a small percentage of white grapes) and can be a true Rhone wine or one made in another country, such as the US or Australia. While most red Rhone blends contain four or five varieties, such as Syrah, Cinsault and Grenache, one famous Rhone blend, Châteauneuf-du-Pape can contain as many as thirteen different varieties! White Rhone blends contain varieties such as Marsanne, Viognier and Roussanne. 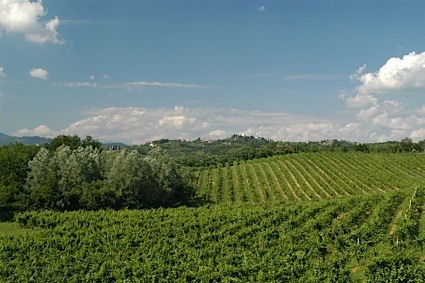 Producers in several regions of California, such as Paso Robles, Santa Barbara and Sonoma Counties produce excellent Rhone blends (especially white blends in Santa Barbara), while New York State, Washington State and Virginia are also home to vintners that make Rhone blends. Pair red Rhone blends with spicy, hearty foods such as game and roasts, while the white tend to work best with sushi/sashimi and fusion cuisine. Pillsbury Wine Company 2016 Diva Rhone Red Blend, Cochise County, Arizona rating was calculated by tastings.com to be 95 points out of 100 on 4/11/2019. Please note that MSRP may have changed since the date of our review.